This is simply stunning. 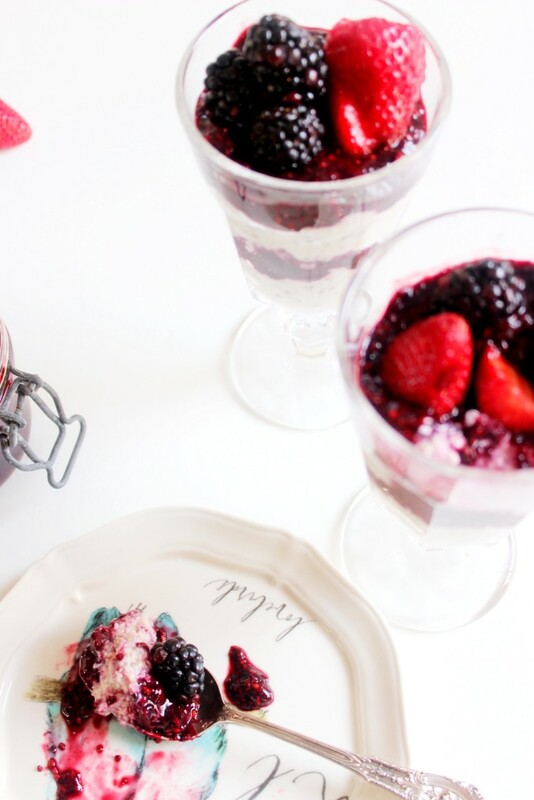 Whether it’s breakfast or dessert you can’t go wrong with this beautiful combo. 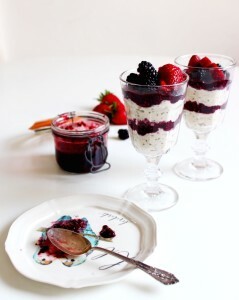 Incredibly delicious, dairy free Bircher Muesli layered between gorgeous Blackberry Chia Jam. 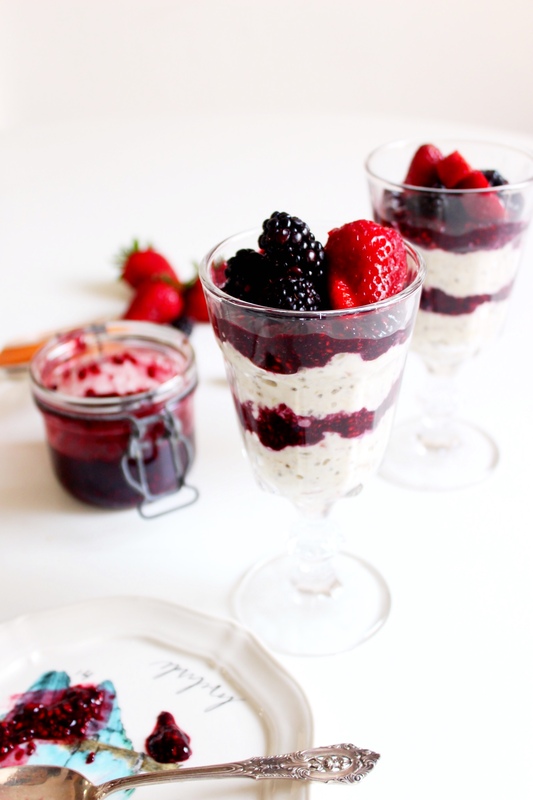 You can prepare the entire thing ahead of time for an extra special week day breakfast or a no-fuss dessert. Top it with some toasted nuts or coconut for an extra wow, get out some spoons and dig in! Prepare the bircher muesli the night before. 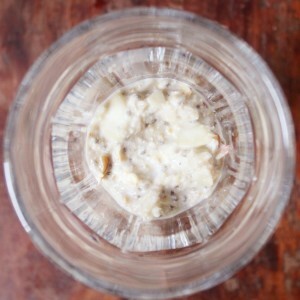 Spoon about 2 tablespoons of bircher muesli into your glass. 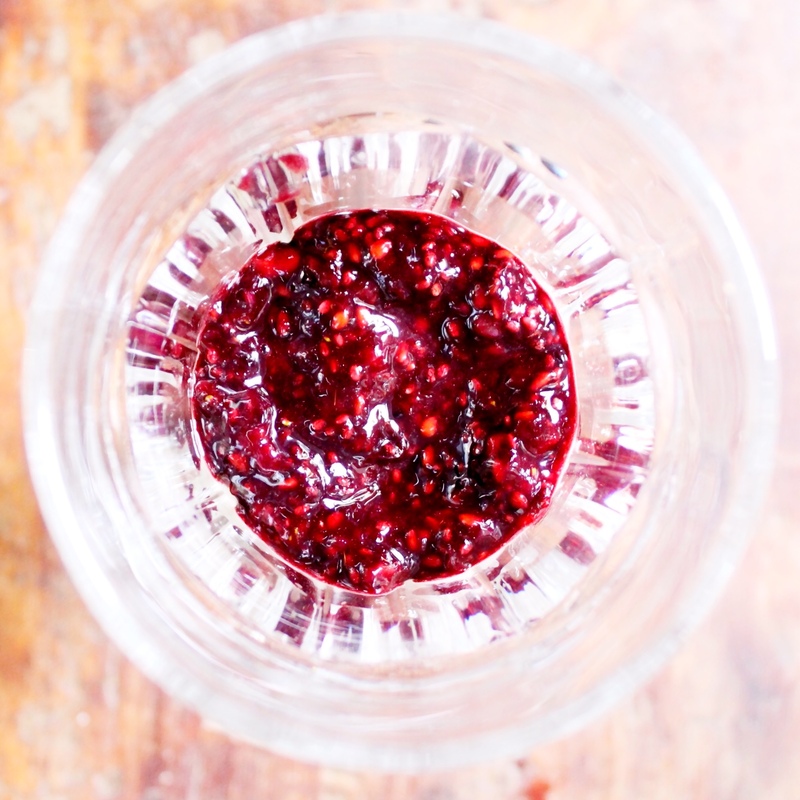 Then spoon in a layer of blackberry chia jam. 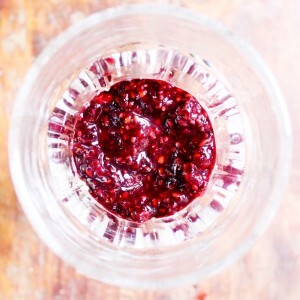 Repeat this two steps, top with fresh berries and serve! If preparing ahead of time, cover with tin foil and keep in the fridge.